The Cuala Press Broadsides are defining events in Irish culture. They also became defining events in the lives and careers of both Jack B. Yeats and W. B. Yeats. Their bold colours and forceful discharge are striking even today. This talk weighs their force and illuminates the family connections and artistic collisions that gave rise to these still provoking printing events. Between June 1908 and May 1915 each month was greeted with a Cuala Press Broadside, with Jack B. Yeats the ringmaster, contributing hundreds of hand-coloured illustrations and even some verses. Their energy and price made them, as T.J. Whitaker noted ‘among the greater bargains to be had in the history of twentieth century graphic art’. This was a family affair as Elizabeth Corbett Yeats and her assistants took charge of the printing. The Model, Sligo, has recently acquired a complete collection, and Thursday’s talk describes their wider impact on Jack B. Yeats’s art and the culture of the period. For two further series in 1935 and 1937 W. B. Yeats was literary editor, making this by far the most sustained and interesting collaboration between the two brothers. 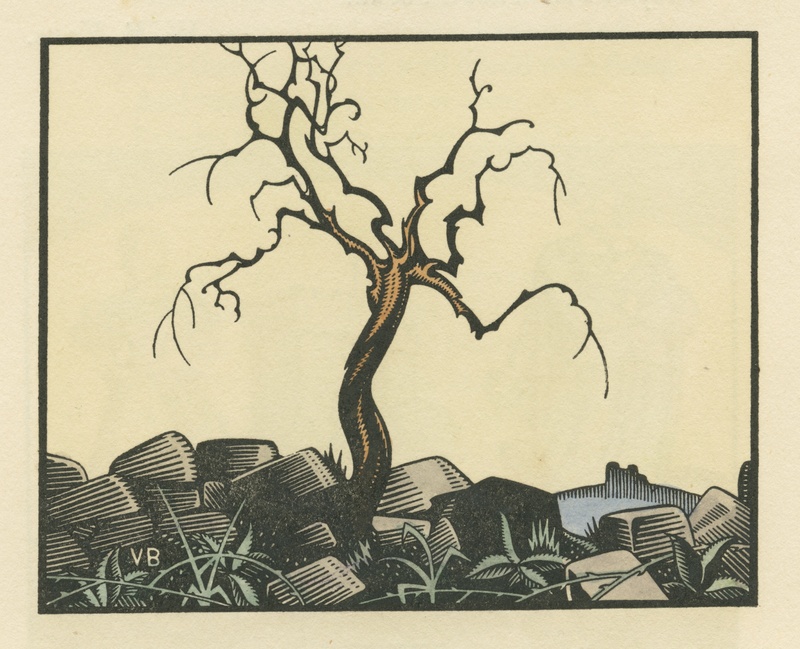 Other artists like Maurice McGonigal, Victor Brown, Harry Kernoff, and writers like F.R.Higgins and Dorothy Wellesley were involved too, but W.B.Yeats’s verses and his brother’s illustrations generate a kind of creative energy rarely seen in comparable combinations of words, art, and music. 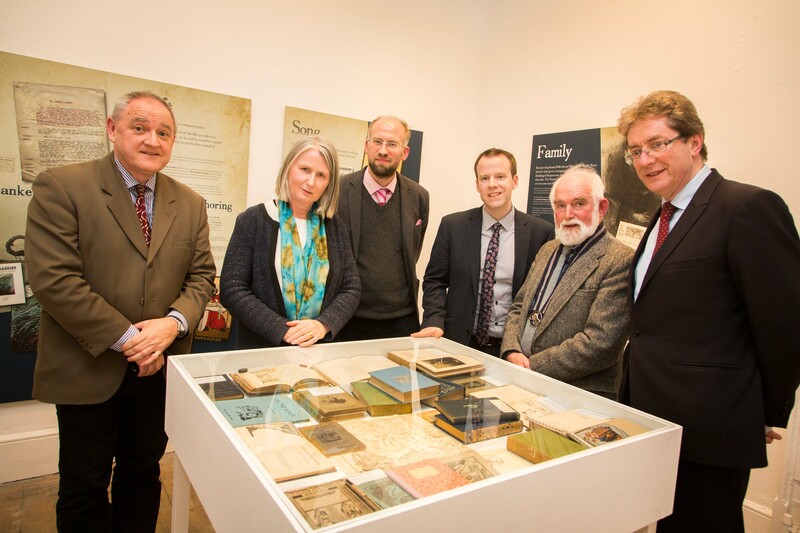 Donal Tinney, Chairperson of The Model, Senator Susan O’Keeffe, Dr Adrian Paterson, NUI Galway, and curator of the exhibition, Barry Houlihan, NUIG, Martin Enright, President of Yeats Society, Sligo, and Dr Jim Browne, President of NUI Galway, viewing some of the Yeats books on display, at the NUI Galway Launch of Yeats & the West Exhibition at The Model, Sligo. 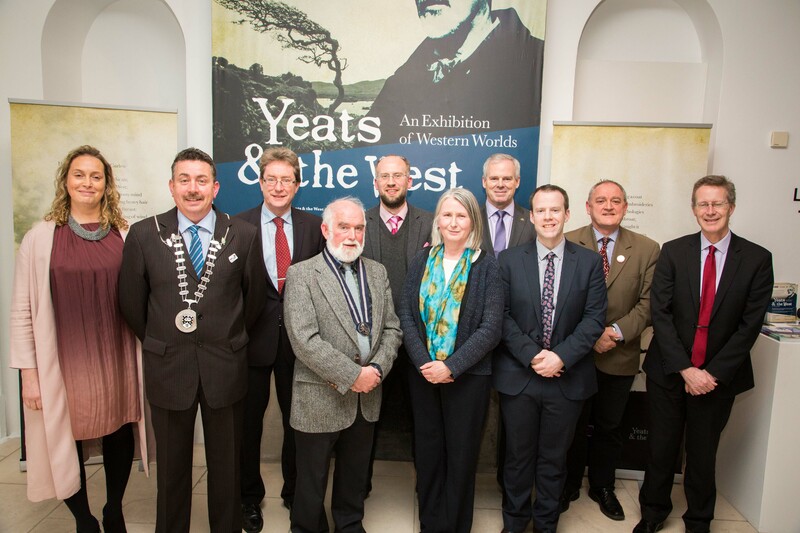 Curator of the exhibition Yeats & the West, Dr Adrian Paterson is a Lecturer in English at NUI Galway. He appears in conversation with Director of the Model, Emer McGarry. (Due to unforeseen circumstances this talk replaces the advertised talk by Dr Hilary Pyle on the broadsides). 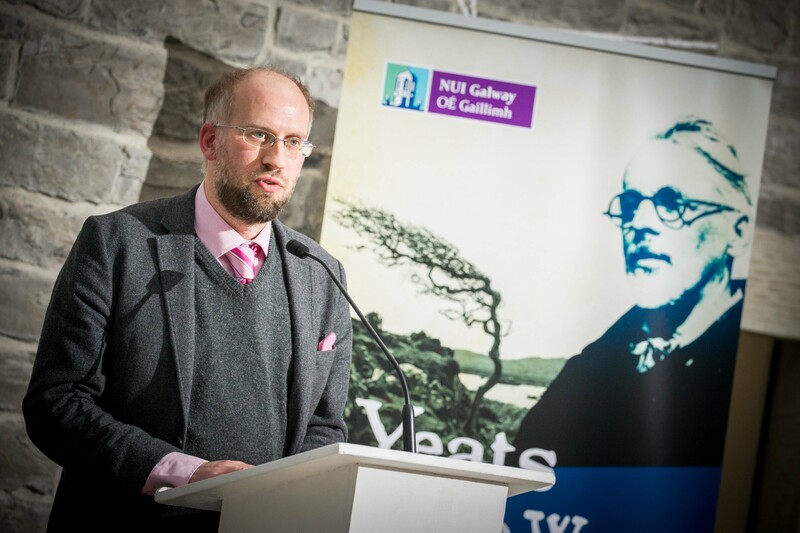 Dr Adrian Paterson – NUI Galway and curator of the exhibition, speaking at the NUI Galway Launch of Yeats & the West Exhibition at The Model, Sligo.